Drive practice efficiency and accelerate the exam process. Phoroptor VRx Digital Refraction System easily adapts to your practice, allowing you to rapidly perform all of the functions of a manual Phoroptor, and so much more, while comfortably seated next to your patient. Phoroptor VRx sets new standards in digital refraction. With the thinnest, most compact design available, incredibly fast lens exchanges, motorized prisms, split cylinder lenses, and ultra-quiet operation, Phoroptor VRx offers an outstanding patient experience. The touchscreen display and ergonomic keypad features a multi-function control knob with unmatched feel and versatility. The intuitive interface has all the pre-programmed and programmable tests you’ll need for an exceptional user experience. Phoroptor VRx connects to EMR systems as well as numerous models of pre-test and acuity devices from both Reichert and non-Reichert brands, for effortless integration. 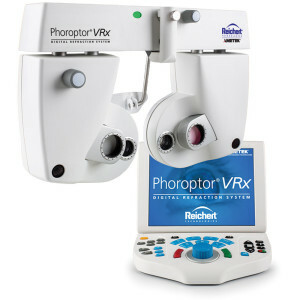 Insight Medical is the exclusive Canadian distributor for the Reichert VRX Phoroptor VRx is made in the USA. 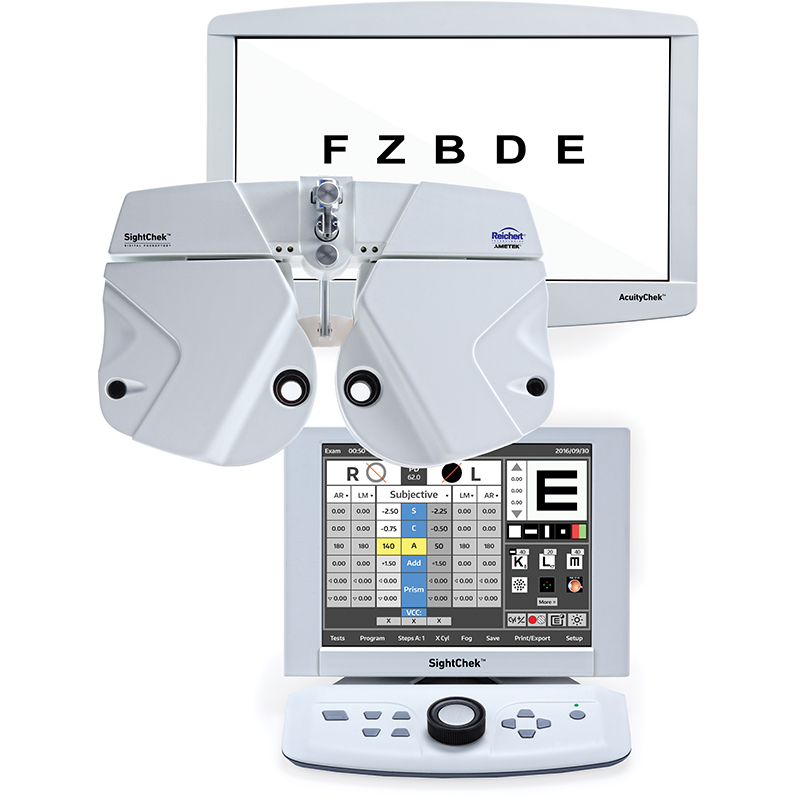 The all-new SightChek™ Digital Phoroptor®, part of the VisionChek™ Digital Exam Suite, combines technology, simplicity, and value at the core of your exam. SightChek™ is your entry into the efficiency of a digital refraction, and easily adapts to your practice, allowing you to rapidly perform all of the functions of a manual Phoroptor while comfortably seated next to your patient. The Reichert Ultramatic RX Master Phoroptor has been at the heart of your lane for decades, so who else would you trust to provide you with a modern, digital refraction?